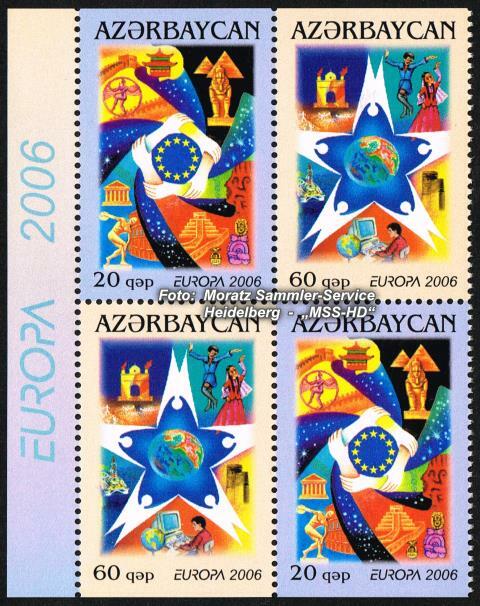 Azerbaijan: Europe stamps 2006 se-tenant from booklet sheetlet. 1st March 2006: se-tenant Europe CEPT 2006. Contains two sets partly perforated, MNH. Michel No. 638-639 D ** (2 x). Total number of copies: 30,000 se-tenants (= 15,000 booklet sheetlets). Authenticity warranty. Sheetlet MNH **.